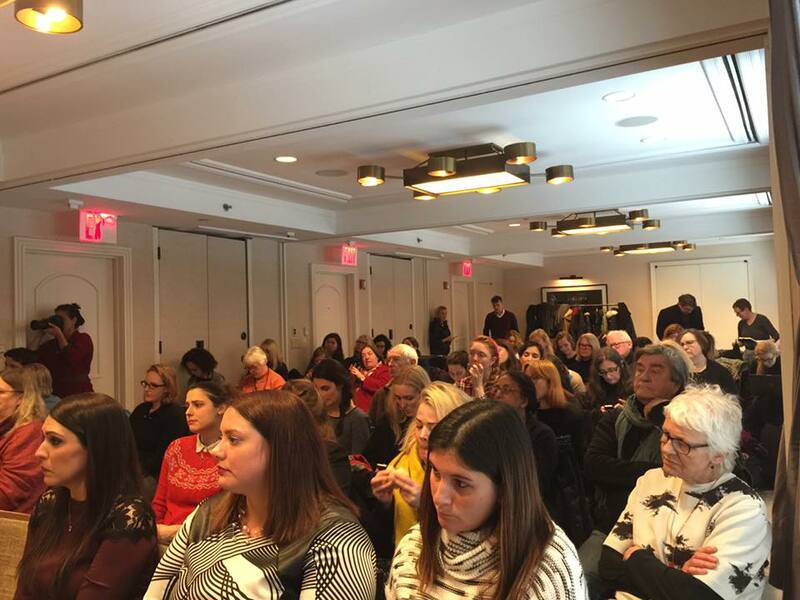 Our “Trading on the Female Body” event on Tuesday in New York was a terrific success. Before the event even started, we had to bring in more chairs. We ended up with people standing in the back and sitting on the floor down the sides. Both panels did a wonderful job, the audience was engaged, and interesting, probing questions were asked. The online audience was also very engaged, sending thumbs up, angry face, and heart emojis as each person spoke. The video is posted on our Facebook page our partner organization’s YouTube channel, and embedded below. Please watch and share!